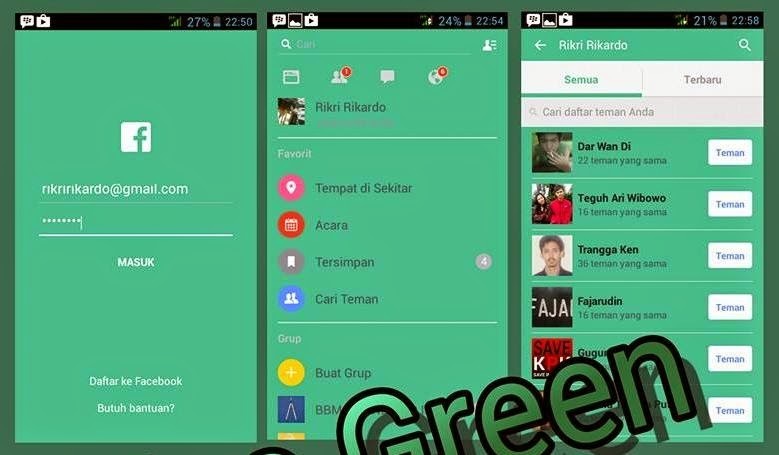 Download Facebook Mod Evo Green v3.0.0.0.0.5 - In addition to app Evo Mod Green, this time also there is a round green for Facebook applications. With almost green appearance of the whole, you will find a new sensation in using Facebook apps. For more details you can see the following screenshot, or just download Fb Evo Green. Congratulations use. Using the all-green theme. Other features you can try it yourself.